To Section 8 or not? 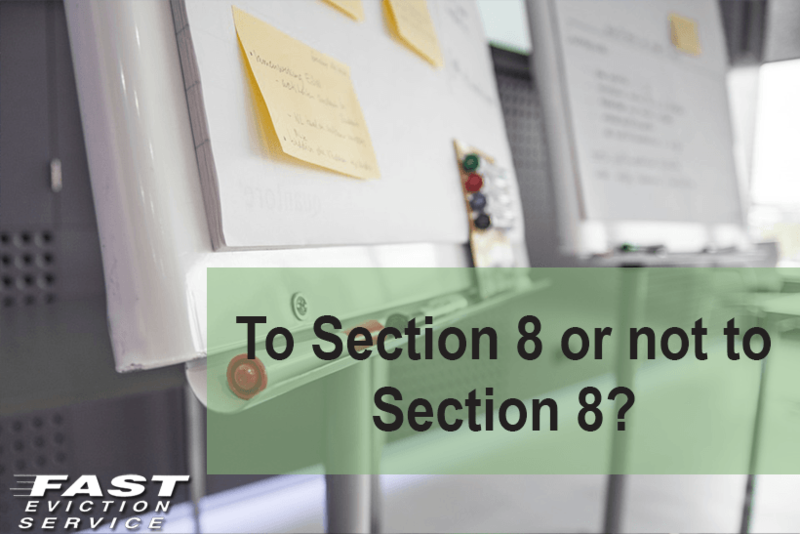 What is Section 8? Section 8 is a government housing voucher program that provides rental assistance to tenants with low income, paying a portion of the month’s rent directly to private landlords. This program may be project based – where it’s to be used in a specific apartment complex or housing project – or tenant based – where the tenant can live in any part of the US in a rental that accepts Section 8. Many landlords simply don’t like putting up with the extra paperwork. They don’t like the government getting involved in their business. The random inspections from HUD may be a bit too much for landlords, although they are established to maintain an internal control of the tenant which has an obligation to keep maintenance, and damage costs to the very least possible. The program also speculates that the rental must be rented at a fair market price, which also tends to ward off landlords that like to keep their property at an above market price. Another reason some landlords don’t like the program is the facto that the eviction process could be tedious, since the only way to proceed with an eviction is through judicial action. No other way is possible, regardless of state and local laws. The program has impressive punctuality with paying their portion of the rent. Say the tenant is responsible for only 30% of a 1,000 a month rental; your $700 a month are guaranteed. Tenant pre screening is also a big bonus. The tenant must pass through a vigorous screening process to be accepted into the program. They check criminal, credit and work history and the tenant must stay current with the office of all income and family size changes. Your rental is promoted for free through HUD’s networks and have a large pool of potential tenants since the waiting list to become a Section 8 recipient is very long. This means less vacant times and maximum profitability. Landlords are not required to participate in the Section 8 Housing program. Considering this, it is also illegal to deny an applicant on the sole purpose of being a Section 8 tenant. Landlords who don’t want to deal with Section 8 applicants generally use other means to disqualify the potential tenant. In conclusion, I don’t see why a landlord would want to deny or not want to deal with Section 8 prospected tenants. Seems like a great win situation for both parties involved.